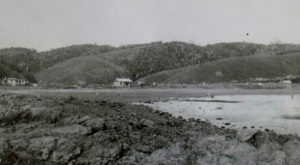 From 1908 George Troup subdivided his land near the beach in Karehana Bay and initially developed Airlie, Cluny and Motuhara Roads. He later donated land for St Paul’s Church and Karehana Park. The area developed quickly after WWI. 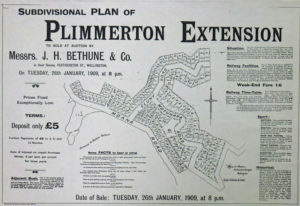 The sale of the first subdivision at Plimmerton Extension in January 1909. 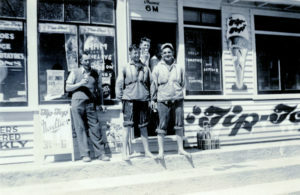 Troup had seen potential in the area as a ferry port, providing direct access to the South Island, and as a popular seaside resort. He was also aware of the brick making potential of local clay. At that time Troup was ready to give up his position as chief architect for NZ Railways and become an independent architect and developer. To demonstrate his design skills he built Turville House, which sits proudly at 75 Motuhara Road today. Over the next 15 years Troup set about subdividing the Bay and selling sections in the area he named Plimmerton Extension. The first major sales in 1909 and 1912 proved less successful than hoped. The only access to the subdivision was over the lower end of Motuhara Road and along the foreshore. Betty Kensington described it as a wide, sandy track practically impossible for a car to negotiate. On at least one occasion it was completely washed out leaving no access to Karehana Bay. Also, as WWI approached, priorities no doubt turned away from holiday cottages by the sea. 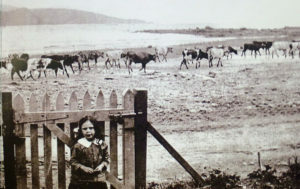 Betty Kensington (Bilton) at the family bach in Moana Road, about 1914 with Shannon’s cows on the beach. After the war sales increased and the Bay developed rapidly. Within a decade or so the swampy land at the head of the Bay had been drained and the roads improved. Cameron’s Guesthouse was in business and Ernie Pickering had opened his shop at 44 Moana Road. 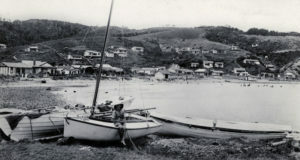 The Plimmerton Boating Club was formed and club rooms built. 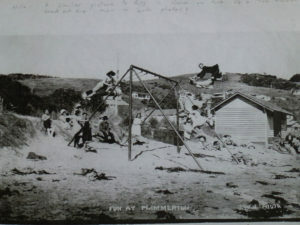 Local children walked along the foreshore to Plimmerton School. 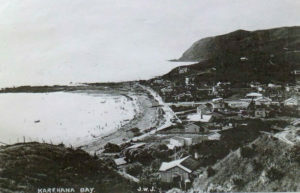 The Karehana Bay of the 1920s and 1930s was described as being a very separate little community from Plimmerton. The beach was popular. Locals built bathing sheds opposite the ends of Cluny and Airlie Roads. Children roamed freely and played in the stream and swampy areas. They fished for cockabullies in the rock pools beyond the Boating Club. There was a wonderful swing on the beach which the local children enjoyed but, being metal, it squeaked. Betty Kensington told the story of the fisherman’s wife who lived nearby and objected to the noise and the children playing there. One night she covered the bars of the swing with treacle and next day the children came home in a mess. The community considered Plimmerton Extension an unattractive name. A deputation to the Hutt County Council asked for a change to Karehana Bay, after the last chief of Motuhara Pa, Karehana Te Weta Whakataki. The authorities agreed and on 1 January 1924 the name was formally changed. In 1922 George Troup donated land at 3 Cluny Road to the Presbyterian Church for a church and manse. The latter never eventuated but in 1949 the church acquired the house at 5 Cluny Road for use as a manse. St Paul’s was built completely by voluntary labour and opened two years later. 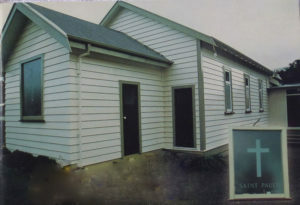 This successful little church operated in conjunction with other Presbyterian churches in the Porirua area until attendances dropped away in more recent years. The final service was held in 2007 and the building sold to private ownership. During the Depression men were employed to build the sea wall. Construction began at the Boating Club and gradually made its way as far as the Fire Station where it was completed in 1938. In 1937, Sir George Troup again donated land. On this occasion it was, “for the purpose of providing a play area for the children of Karehana Bay”. Locals knew it as the ‘paddock’. At one stage a small golf course was proposed but Troup’s wishes prevailed and in 1962 a children’s playground was built. As it had been swamp the land was often wet and muddy in winter. The only access was from Airlie Road until 1972 when the Porirua City Council acquired and removed a rundown house at 7 Cluny Road. The property had belonged to Mr Oag who gifted it to the Wellington Seamen’s Mission a number of years before. In 2011 Allan Dodson and Roger Johnston led a Plimmerton Residents’ Association project to upgrade the park. Working in conjunction with the Porirua City Council, the team organised the construction of a brand new playground and the pathway of pavers through the park. They arranged community working bees to assist with landscaping the stream, playground and park. Members of the community donated $150 for the inscribed pavers and Tuohy Homes Ltd donated the petanque court. The Porirua City Council, community grants and the Plimmerton Residents’ Association also contributed to costs. The Park was formally opened in November 2015. Special thanks to Mary Casey, Reta Ewen and Jim Gyton for their reminiscences of earlier days living in Karehana Bay.